You’ve completed the low FODMAP elimination followed by the reintroduction trials. After a successful 2 to 8-week elimination of high FODMAP foods you begin the rechallenge and reintroduction phase. There are many undesired health consequences if you remain in the elimination phase long term. Avoid remaining on the strict low FODMAP elimination diet long term. First, the low FODMAP diet changes the composition of gut bacteria even after just a few weeks. To maintain a healthy gut, it’s vital to incorporate adequate fiber and prebiotic containing foods that are often avoided during the elimination phase (1). Additionally, the diet is not nutritionally balanced as numerous foods and food groups are avoided. Particularly if someone is vegan or vegetarian following the low FODMAP diet, protein sources are scarce as most legumes (beans, peas, lentils) and large servings of nuts and seeds are removed. Lastly, the stress of following a restrictive diet long term is psychologically unhealthy and can even be a trigger for digestive symptoms. Most experience improvements in quality of life after liberalizing the diet. The reintroduction phase involves rechallenging each category of high FODMAP foods individually to gauge how your body responds. 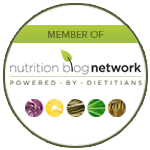 To get the full rundown on conducting the FODMAP reintroduction, go here. Summary: A successful low FODMAP diet requires following an elimination phase followed by the reintroduction phase. You can begin introducing other foods back into your diet now that you know what FODMAP groups cause you digestive issues. The more diverse your diet in the long term, the better for gut health. This part of the FODMAP diet is often called the ‘modified FODMAP diet’ or ‘maintenance plan’ or ‘phase 3’. It refers to your long-term eating pattern after completing the elimination and reintroduction phases. Keep in mind that if you did not tolerate a specific FODMAP category during the initial reintroduction (i.e. fructose), then avoid trialing foods that contain that type of FODMAP. Use the food list below to help you expand the diet based on the findings above. For example, if you know you do well with fructans and GOS then focus on foods from those FODMAP categories. Summary: Once you know your threshold to individual FODMAP categories, continue assessing your tolerance by trialing foods with multiple FODMAPs. Next, try combinations of high FODMAP foods during a meal or snack. 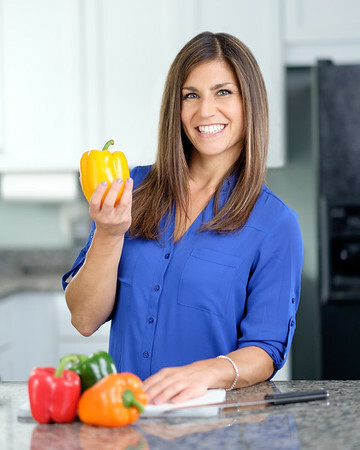 Creating your own modified low FODMAP diet is no exception. Tailor the diet to fit your needs and health goals. For this reason, your diet should be flexible to align with occasional changes in tolerance. Also, foods you don’t tolerate during the initial trial can always be retested a few months later if your symptoms improve. If this process seems tedious, don’t fret, there are tools to help. Using the Monash University low FODMAP phone application, you may use the color-coded system to slowly add back in foods you were avoiding in larger portions. The modified FODMAP diet refers to the last phase of a low FODMAP diet. It’s an important step after the reintroduction phase to ensure optimal gut health and long-term digestive relief. Liberalizing the restrictive diet low FODMAP elimination is necessary and should be completed with a careful approach. Using the information gained from the reintroduction process, you’ll find the combination and dose of FODMAP intake you tolerate. The goal is to find an individualized, varied, balanced diet that supports digestive health long-term.